If you’ve ever been around an extraordinarily-obedient canine, you know that the training process goes well beyond “sit” and “stay.” Though, don’t misunderstand, those are still both valuable commands. And if you’ve ever been around your average pup, you also know that this training is just as tough as it looks. The great thing is that tough doesn’t translate to impossible. Armed with the right tools and enough grit to get you through, making Fido friendly for any situation will happen for you. 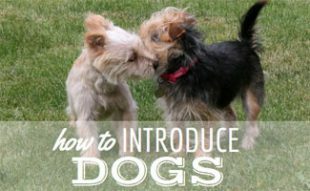 Here are a few tips to get you started with dog training advice. Set your boundaries, and stick to ‘em when it comes to your canine. Praise them when they follow your Alpha lead, and scold them when they don’t. Become your puppy’s pack leader. Boundaries aren’t always behavioral, either; sometimes, they’re downright physical. Creating space between you and your dog is also a great way to reinforce that you are the dominant party in your relationship. For example, as much as you may want to indulge your canine in too much cuddle time, don’t, especially on your couch or other human-oriented locations. Continuously letting your dog invade your space doesn’t reinforce your Alpha status, it only allows them to view you as their equal, rather than their master. Most dogs are food driven. 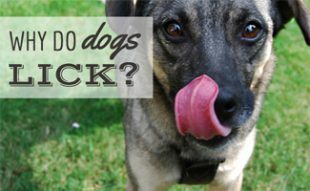 You can use this bit of knowledge to your advantage and with a little edible reinforcement, you can train them to do pretty much anything. Keep treats on your person, always. This allows you to make any situation a training session. Trying to teach your pup to walk off-leash? Pick a safe place to practice, treats on-hand, of course, and use direct voice commands: “Come,” “leave it,” “stay.” Pretty soon your dog will realize that sticking close to you is a reward, not a punishment. While teaching your dog to heed voice commands is probably tops on your training to-do list, overusing these commands can actually be detrimental to the training process. Don’t repeat yourself over and over again. Instead, call your pup to “come,” and if after a few verbal instructions he’s still not listening, don’t be afraid to walk over to your dog and physically bring him to where you want him to be while saying “come.” The same process works for barking: Instead of continually yelling at your dog to “stop,” go over to your animal, disrupt his focus on what’s causing him to bark while saying “stop.” Pairing action with verbal commands carries great weight, and once they make the association between verbal commands, actions and, if necessary, treats, at some point using your words will be enough. If your individual efforts just don’t seem to be cutting it then hiring a professional dog trainer to get your dog off on the right foot – er, should we say, paw? – is the next order of business. But just because your dog needs a little bit of schooling, don’t think that you don’t need it, too. Most ill-trained animals are the product of their owner’s poor communication and disciplinary skills. Instead of blaming your pup for his delinquent ways, take a good look at yourself first. Are there areas where you’re weak or lacking? Where and how could you improve? Sending your dog to a trainer is great, but if you aren’t able to reinforce that behavior once the dog returns home, then all the hard work your trainer, and your dog, put in will go to waste. You may even be better served to attend the professional dog training sessions together. Whether you start with a trainer from the very beginning, or try to teach your canine manners on your own, the most important thing to remember is: A trained dog is a happy dog. A pup that is well trained is a pup that fully understands what is expected of him in most any situation. 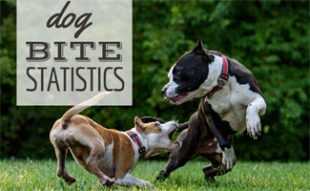 Consistency in how you approach dog training – be it boundaries, verbal commands, or other training tools – will prove the best approach in turning a disobedient dog into an obedient and happy one. We don’t know about you, but when we know how to act, most of the time, we behave better, too. My brother moved in about 6 months ago. I have a 3 yr old German Shepherd that still gets aggressive with him every time he comes out of his room or comes home. I’ve tried punishment I”ve tried intervention just don’t know what else to do. Do you mean training methods? 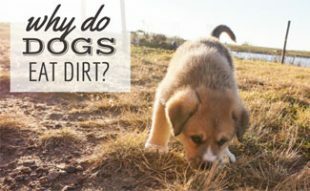 If you read the article, there are tips for training your dog. No this isn’t a ploy to get your email address. The only way we get your email address is if you sign up for our monthly newsletter or comment. Either way, we aren’t going to spam your or sell your email to other companies. I came here because the citronella anti-bark collar pointed me here for more information on training for dog barking and there is none. Is anyone home here at canine journal???????? So came here because I was on the citronella anti-bark collar and it referred me here for tips to teach a dog when to bark…but nothing practical. just general tips on training. My dog has been a yip at the slightest noise for a long time. We have tried so many things to get her to stop, with no luck. She barks if you set your coffee cup on the table (sometimes while looking at you doing it), at nothing, at someone making a small noise when turning on a lamp. She will then spend 20-30 minutes periodically growling and yipping. Her actually barking at something like a child making noise in their yard, or another dog outside is minimal. So very disappointed that there was a big statement about how this animal is another life you have chosen to take care of so click here if you want to learn something about training them not to bark inappropriately and then it is just this generic set of tips that worked well for us training her in other areas but not this one. (run-on sentence I know).